I wanted to get a few bright pieces for the spring and summer and came up with these three purchases. 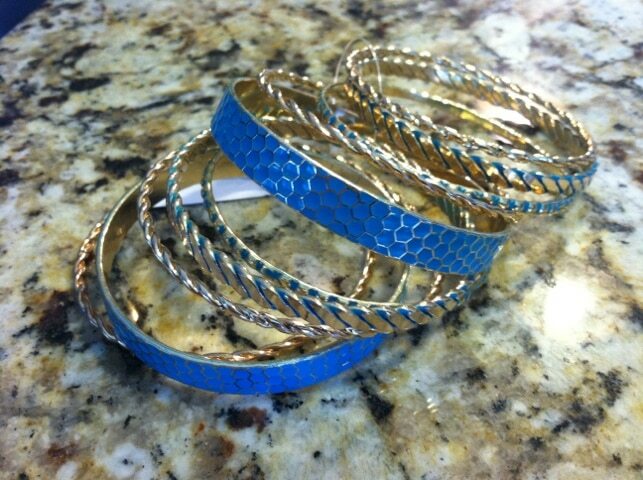 First up, a collection of blue and gold bangles. Sometimes, I find it hard to mix and match bracelets – so I like to buy them already put together. 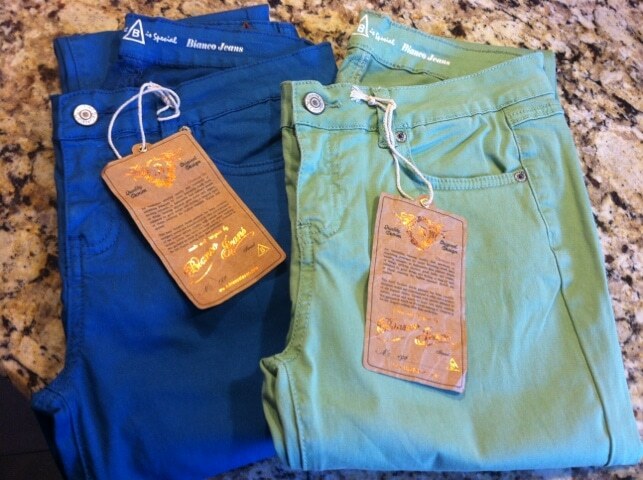 THEN I decided that even though I am typically a neutral kinda girl, this spring I would rock some mint skinny jeans! So, I bought them and have already wore them (coming home from Florida). LOVE LOVE LOVE THEM. I paired them with a navy blue shirt to tone it down a bit. While I was on a roll, I also picked up royal blue skinnies. What fun things have you picked up so far for the Spring?